AN interest-free housing project aimed at the Muslim community and boasting 100 per cent halal housing has sparked a major row, with critics labelling it a discriminatory plan that could lead to a Muslim enclave. 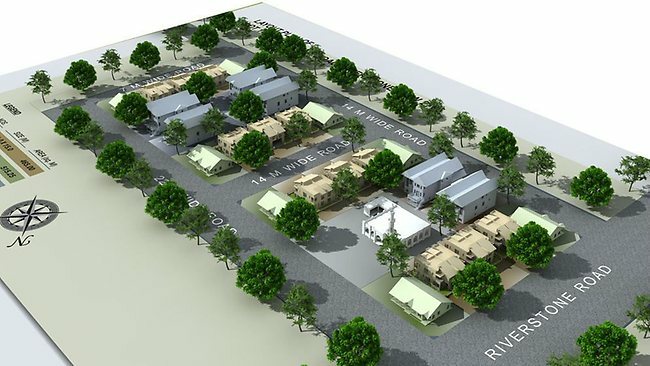 Qartaba Homes’ plan offers “100 per cent Halal housing to the growing Muslim community of Australia” in the heart of the northwestern Sydney suburb of Riverstone. While the company has insisted people from all religious backgrounds are free to take up the offer, it advises that the loans are “100 per cent Halal” and a “chance to escape Riba (interest)” because interest is a sin under Islamic law. 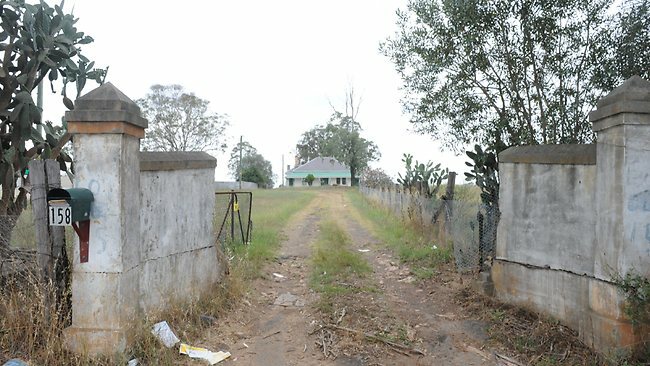 Qartaba Homes director Khurram Jawaid said it was the real estate deal of a lifetime, open to Australians of all faiths and backgrounds, but the state MP for Hawkesbury Ray Williams said the project was divisive. “I can only imagine the repercussions if a developer were to advertise a new Judeo-Christian housing estate; they would be hung, drawn and quartered,” Mr Williams said. AUSTRALIA’S multicultural society is an example of how people from diverse backgrounds can combine to build a peaceful, strong nation. “I hardly think the advertisement for a 100 per cent halal Muslim housing community is inclusive; it’s very divisive and I’m sure it will be viewed that way by the majority of fair-minded Australians.”Blacktown councillor Alan Pendleton said the community was concerned it could turn into an enclave. “There’s great concern about … what they consider could be an enclave. (There’s a belief) you have to be a Muslim, otherwise they won’t sell you a site,” Mr Pendleton said. The proposed development is on land bordered by Riverstone Rd, McCulloch St and Cranbourne St with the company planning to subdivide the land, along with a smaller parcel in Gordon St, Schofields.”Our philosophy is interest-free, pay as you own,” Mr Jawaid said. “You don’t have to go to a bank or a financial institution. While subdivision plans have yet to be presented to Blacktown Council, the company has already “booked out” virtually all of the proposed 150 lots in Riverstone and 30 in Schofields. Land parcels range from 400sq m to 800sq m and are being offered at $85,000 plus charges, including a booking deposit of 30-35 per cent and a 24-30 month interest-free payment plan. Blacktown Council is investigating the deal, with the mayor Len Robinson saying there is no application before council for a subdivision, but pre-lodgment plans have been given to council. The company has bought the land from various owners, but Mr Jawaid said Muslim take-up of the offer was “not that overwhelming”. The aim is for work to be finished by 2014, but go-ahead is needed from Blacktown Council and Sydney Water, which has yet to connect the land to the water network. A spokesperson for Fair Trading Minister Anthony Roberts said the department had found no grounds for discrimination action against the Qartaba Homes flyer. Previous PostBolton Muslim Man admits Killing his 6 Week Old SonNext PostNew Report say’s 100 million Christians persecuted around the world,Guess which religion the worst offenders are! A civilisation is measured not by the rights it grants its majority but the privileges it allows its minorities. Muslim community not only needs Mosques but also state funded Muslim schools for their bilingual children. They need to learn and be well versed in standard English to follow the national Curriculum and go for higher studies and research to serve humanity. They also need to learn and be well versed in Arabic, Urdu and other community languages to keep in touch with their cultural heritage and enjoy the beauty of their literature and poetry. A Muslim is a citizen of this tiny global village. He/she does not want to become notoriously monolingual Brit. Muslim families are as entitled as any other religious group to schools that nurture their children’s faith. Muslim pupils should be educated in Muslim schools because the current system is marginalising them. Teaching Muslim children in a Muslim school would remove the “problem of them being exposed” to values that conflict with Islamic faith. Muslim pupils are disadvantaged and marginalised in the city’s state schools because the cultural heritage of the curriculum is “European and Christian”. I set up the first Muslim school in London in 1981 and now there are about 180 Muslim schools and only 12 are state funded. I would like to see each and every Muslim child in a state funded Muslim school with bilingual Muslim teachers as role model. There is no place for a non-Muslim child or a teacher in a Muslim school. There are hundreds of state and church schools where Muslim children are in majority. In my opinion, all such schools may be opted out as Muslim Academies. Bilingual Muslim children need bilingual Muslim teachers as role models during their developmental periods. There is no place for a non-Muslim child or a teacher in a Muslim school. There should be NO muslim enclaves or schools. AQs a matter of fact all muslims should be removed from all western nations. islam is the cause of the majority of the bloodshed in the world today!! They robbed my family of our hard earned saving $2016,000 AUD which was a deposit on two properties in Tarneit North victoria. I have delt with Kashef, Wajeeha, Yasmeen & their accounts department who have been giving my family the run around for 10 months promising to refund our money as per their contract but they are now completely ignoring us. If you value your money then stay away from Qartaba. They make out to be a righteous Muslim company when they’re completely the opposite (thieves) Kashef, one of the owners was in contact with me 6 months ago promising to refund our money but since then he has ignored our phone calls & emails. These people are incompetent and play games that they taylor. Now that I am taking them to court for the $2016,000 they robbed, you can’t hide behind Wajeeha & Yasmeen, your lying incompetent employees Kashef. But for now – your fake companies truth must be published on every social media medium for all to know what Qartaba Homes is all about. Others are coming forward now & we will join hands to expose Qartaba Homes for what they have stolen from hard working families Sydney & Melbourne.